A grammar question: Does “European quality fruit” mean “quality fruit from Europe” or “fruit of European quality”? When I saw the three words in the labels of some apples I recently purchased, I went for the latter interpretation, thinking that the fruits were from China and it was another of the nation’s dodgy ploy of misleading consumers into thinking that what they purchase were European produces rather than inferior or potentially dangerous Chinese ones. A round of Internet research proved me wrong. 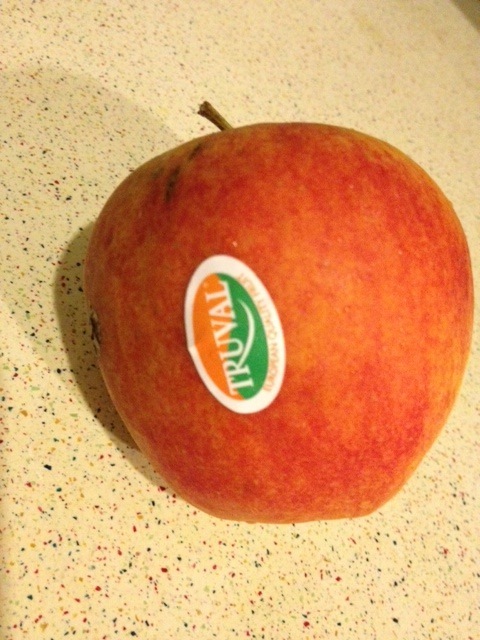 Truval is indeed a Belgian company, meaning that those apples are, after all, “quality fruit from Europe”. But I don’t regret smelling a rat that, as it turned out, wasn’t there. China has an ignominious track record of faking everything, and it has got better and better at turning it into an art. It is very likely that they have gone past the days of using logos with the names of famous brands intentionally misspelt. Calling their fruit “European quality fruit” would have represented a huge progress. A driving license or a cycling license?